Does Hedman 88408 fit your vehicle? Will these headers work with stock Z bar for manual transmission as well as a T5 transmission conversion? Also ad states ball flange collector ,but pic doesn't reflect that .Please clarify! Yes, this should fit your application. These do have the ball flange collector. It is new and the images have not been updated yet. 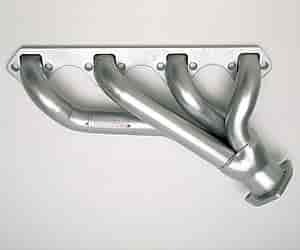 Hi there, any idea for the best H-pipe to use with these headers on a 66 mustang? Any universal pipe could be used with these. There is not a bolt on pipe available for this. This header is not compatible with the GT40P cylinder head.